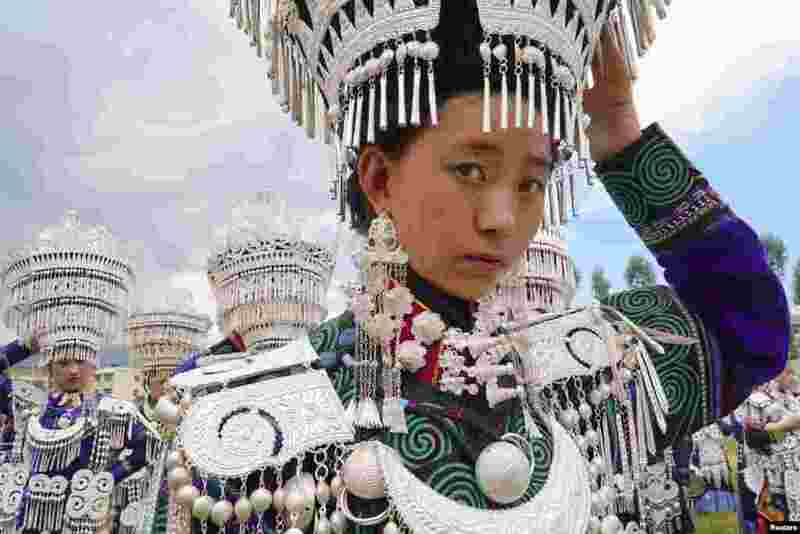 1 Yi ethnic minority girls wait to participate in a traditional performance to celebrate the Torch Festival in Butuo County, Sichuan province, China. 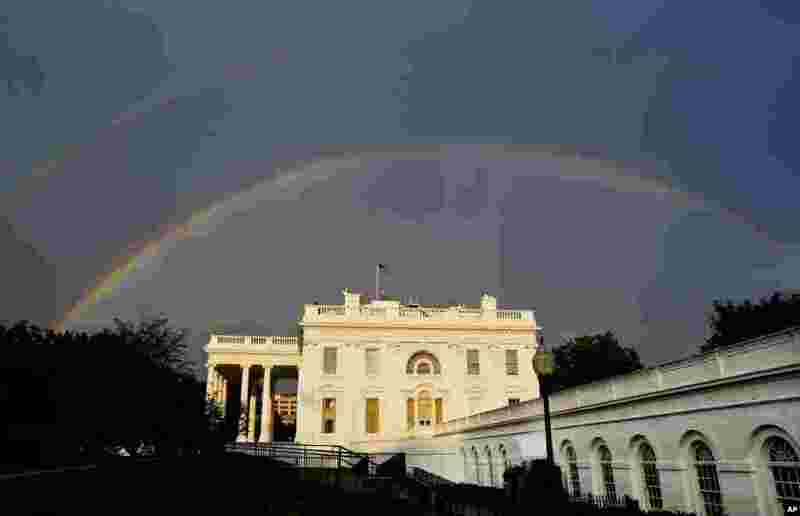 2 A double rainbow is seen over the White House during a rainstorm in Washington, DC. 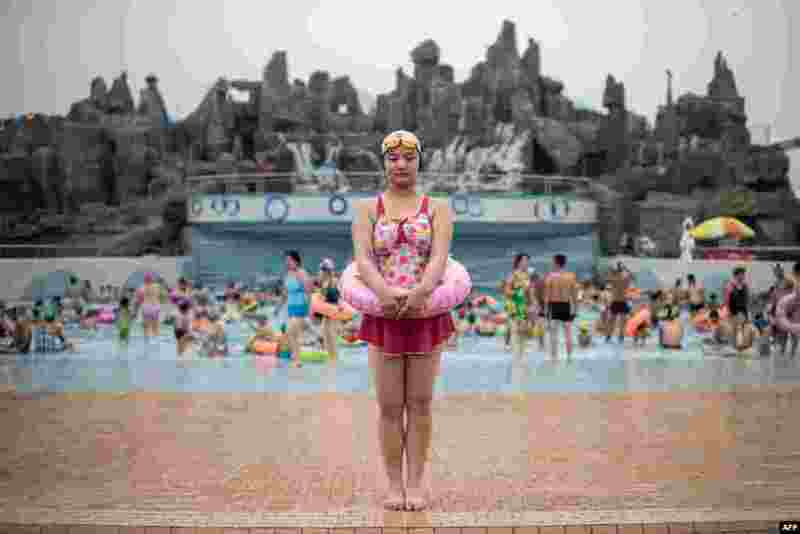 3 Swimmer Ri Song-Hui (21) poses for a portrait at the Munsu Water Park in Pyongyang. 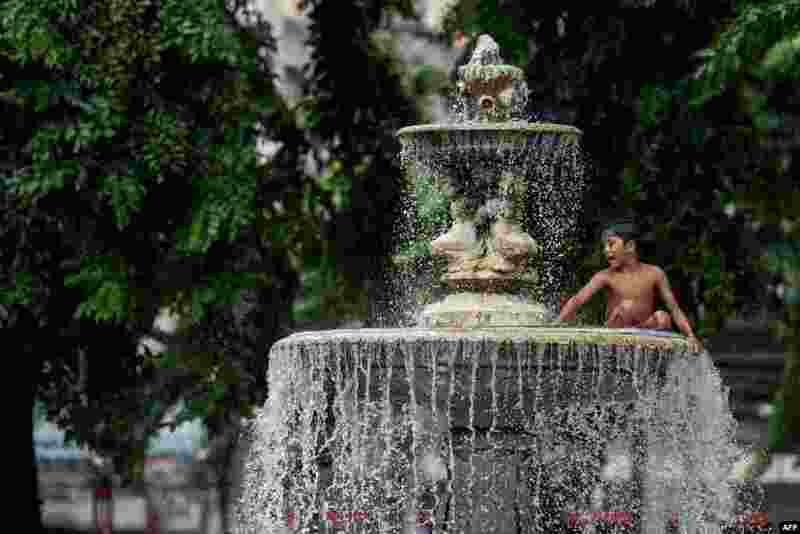 4 A boy plays in a water fountain at a public park in Manila, Philippines.